This week I shall be starting all over again with the trilogy and trying to find an agent who will love the Jeffcoat family as much as I do. In 2008 I completed a lengthy tome – my first book. The trouble was, it was almost 200k words – much too long. It had taken me five years to write and is loosely based on the life story of my great aunt, Rita Crick, who lived as a child at 25 Cornwall Road and 140 Windmill Avenue, Kettering, until she died in 2007 at the age of 92. 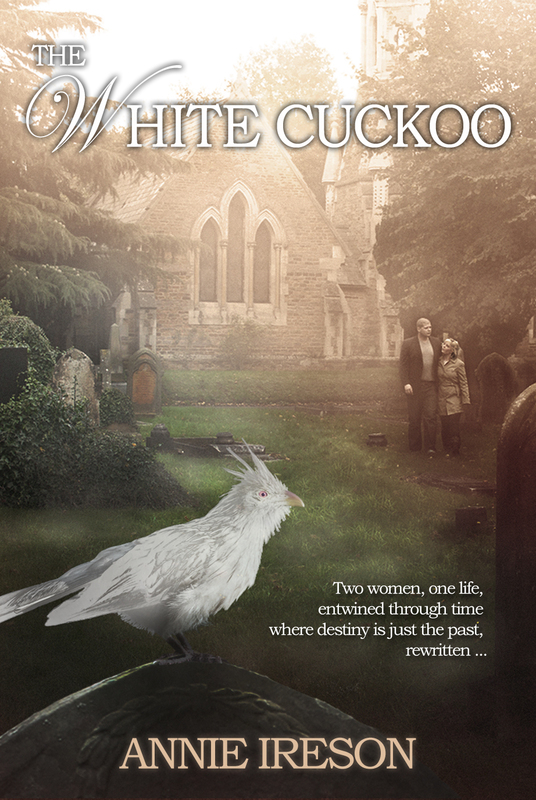 Without going into the history of securing an agent, splitting the novel into three and then the ultimate devastating rejection by a big publisher because of the looming credit crunch and subsequent recession, I will say quite openly that, had all this not happened, The White Cuckoo would most probably not have been written. I believe destiny took me by the hand and led me down a path that could have ended in a blank wall, but thankfully didn’t because I wrote my fourth book, The White Cuckoo, which is doing well and has launched me as an author. Tom Jeffcoat was my great-grandfather and his daughter, Rose, was my grandma. It is important for people to know the story is written as pure fiction, although some of the plot lines are based on fact. At first, I placed the story in a fictitious Northamptonshire town called ‘Cleaston’. A few weeks ago I thought, what the hell, lets make it a Kettering family saga. So all the places and buildings exist in the story – yes, including the jewel in Kettering’s crown, Wicksteed Park and New Buildings, an old row of terraced houses in Meadow Road, where my dad’s grandparents lived. Although the majority of the places are real, most of the people aren’t. The best thing about being a writer is that you can make things up to make a story more interesting! The trilogy covers the time period 1922 to the present day. Most of the first names have been changed – mainly because Auntie Rita begged to be known as ‘Daisy’ in the novel because Uncle Harry used to sing ‘Daisy, Daisy Give Me Your Answer Do’ to her when they were courting. One Saturday in June 2007, I printed out the first draft of the manuscript for Auntie Rita to read. She had read most of it over the previous five years, but this was the first time it had all been printed out as once, long book. I loved Auntie Rita dearly, and she had always been very precious to me, but never more so than since the death of my lovely mum (Rita’s niece, Margaret) in 2006. That afternoon, I jumped in my car and went round to 140 Windmill Avenue. There was a thunderstorm raging around me but I didn’t care – I just wanted Auntie Rita, the heroine of the novel, to read the product of five years’ worth of hard work on Tuesday lunchtimes and Saturday teatimes, which was when she went over her life story and I just listened. The trilogy will be dedicated to Auntie Rita, my grandma, Rose, and my mum, Margaret who are the only people whose life stories feature as threads running through the novels. All the other characters are made-up. I suppose I ought to give ‘Gramp’ a mention, too, the legendary and super-scary Tom Jeffcoat who died in 1971 when I was fifteen. Tom Jeffcoat’s life is more eventful than most. He suffers from a deep unnatural jealousy, has borne secret children and grandchildren, betrays the people he loves and his actions are the cause of tragic deaths. His obsessive and compulsive behaviour frequently skirts the edge of impropriety and depravity but he is completely oblivious to the effect this has on his wife and daughters, who suffer the most. Each novel is capable of being read as a standalone book, but it is obviously preferable to read them in order. 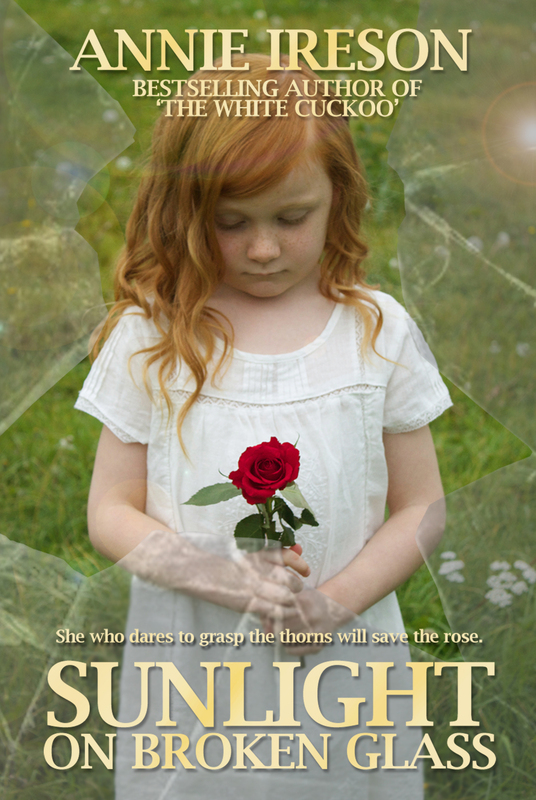 Sunlight on Broken Glass begins the whole saga and focuses on Rose and Daisy, Tom Jeffson’s daughters. Melody of Raindrops is Violet and Doris’s story, and Twisted Garlands continues through the point of view of Lydia and Naomi. All the characters, as they are introduced throughout the saga, appear in each subsequent book, enabling the reader to ‘keep in touch’ with the characters they have grown to know and love in the preceding novel. Tom, himself, has something to say. He wants my readers to know he is not all bad. Next Sunday, 24th February, he will take over this blog. He will look very smart – just as he always did in real life.